Iceland seems like it would be a cool place to live. @Iseult wrote: Iceland seems like it would be a cool place to live. A volcanic explosion so colossal it unleashes gouts of toxic ash into the atmosphere capable of poisoning more than 200,000 people to death. Europe’s temperatures plummeting for years, crop failures, mass hypothermia, transport chaos as Europe’s commercial flights are grounded for weeks, if not months. Swathes of land flooded by melted ice, farmland poisoned and villages wiped out. A hyperbolic doomsday scenario? No, say scientists. It’s all too real a prospect. Because deep beneath a glacier in Iceland, a cataclysmic giant is stirring. Known in local lore as the ‘evil sorceress’, she is gearing up to unleash her deadly wrath on the whole of northern Europe, according to experts. 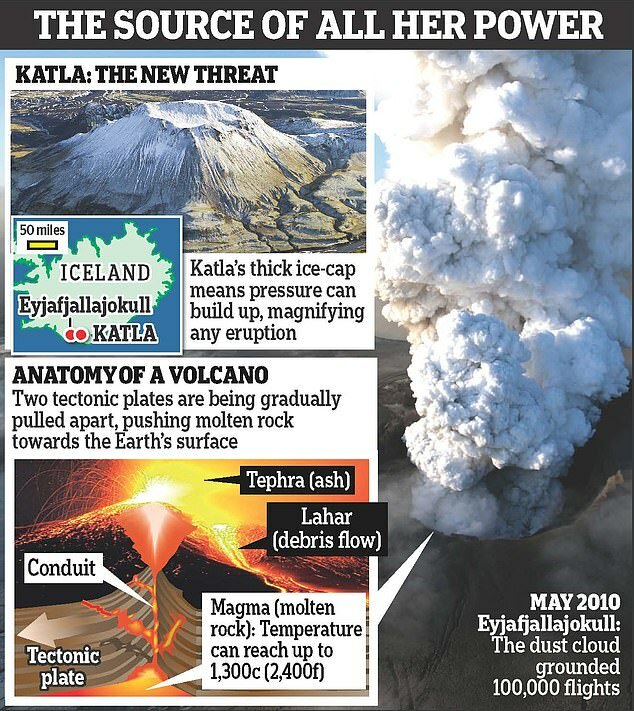 They fear that if the Katla volcano erupts, its devastating effects would dwarf those of its near neighbour Eyjafjallajokull, which exploded in 2010, releasing an ash cloud that led to the cancellation of more than 100,000 flights. It was the largest commercial air-traffic shutdown since World War II as millions were stranded across Northern Europe between mid-April and mid-May. These cataclysmic predictions are based on a similar eruption from the Laki volcanic system, 30 miles north-west of Katla, in 1783. That explosion killed a fifth of Iceland’s population and created an ash cloud that obscured the sun’s rays across the Northern Hemisphere for months, sending temperatures plummeting by 3c. Prevailing winds brought millions of tonnes of lethal sulphur dioxide and sulphuric acid swirling almost 1,000 miles across the ocean to land on Britain. In the UK, an estimated 23,000 people died from poisoning and extreme cold. Local newspapers reported how poisonous ash precipitated fog so thick that boats stayed in port, unable to navigate, and the sun was ‘coloured like it has been soaked in blood’. All told, it was one of the greatest natural disasters to befall our country in the past 300 years. 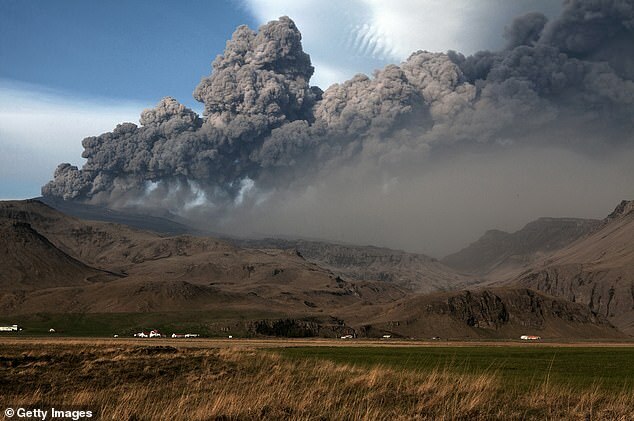 The last time Katla erupted was 100 years ago, when it threw five times more ash into the sky than Eyjafjallajokull did in 2010 — so much that it extended Iceland’s south coast by three miles. The glacial melt also unleashed a torrent of water, mud and icebergs that was claimed to be similar in volume to the Amazon river. Astonishingly, no one was killed, one spot of comfort when we’re considering the disaster that could be on its way shortly. One of the worries is that this geological timebomb is long overdue. Historical records show that Katla erupts once every 60 years on average, and has now been dormant for a century.